I’m learning that bidding on DealDash is not just about luck… but a lot about timing. The right time to buy bids, the right time to use them, and the right way to use them. Bidding when you are on a limited budget is tricky business so you want to make educated decisions when you spend any money. Recently I decided to take a risk and try for something about 4 times more expensive than my usual limit. Keeping in mind that if I really wanted the item I would need to have the money to pay to get the win. I also was hoping for a fabulous DealDash win that I could brag about. I knew exactly what I wanted and having done my research, I knew what it had sold for during previous auctions. I knew that personal previous auction wins usually happened at a certain time of day for me and that distractions are best kept to a minimum. Limiting myself to spending no more than $5.00, for an item that retailed for $150.00, I watched the auction action for a few minutes. When I saw that only 10 people were participating, I was confident that I had found the perfect opportunity for me. I waited until just three people were actively bidding before I placed my first bid and then set my BidBuddy. As I watched the auction for a few minutes and saw that the price was up to 96 cents, I also noticed that another bidder had joined the auction so that there were now four active bidders. 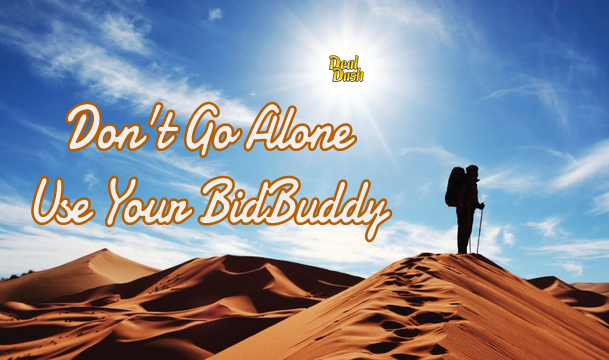 Wanting to conserve my bids, I cancelled my BidBuddy, with the intent of going back in when there were just three other bidders. Yes indeed, I had a plan and was sticking to it! Now, as I sit here without my $150.00 pans, I am acknowledging that I blew it. The very next bid brought the price to 97 cents, and that was the winning bid! You see, I’m not crazy; it is possible to pay less than $5.00 for a 12 piece set of cookware. I did however, learn a lesson… there are times when you really should… “ just let the BidBuddy do its thing”. This entry was posted in Bidding Tips, FAQ, Home and tagged Auctions, BidBuddy, Bidding on DealDash, DealDash, learning to win on DealDash, Tips and Strategy on February 28, 2014 by . I have been watching DealDash auctions for the past couple of weeks, participating in a few, but trying to figure out the best system to aid in winning. $10 Burger King gift cards – closing over $8.00 not counting the number of bids the winner had to place. I have closing costs of $9.95, $9.79 and $9.05. Where is there a deal in that? I give up on bidding on those for now. New bidders seemingly do not equate bids with money. They waste bids, run up the cost for everyone and do not allow the clock to run down so everyone can earn free bids. If you look at the most frequent bid jumpers and see the date they joined it is normally within the last few days. High value item auctions can go for days. The auctions eventually get down to 3 or 4 bidders in sequence. Once the auction closes I will check AllPennyAuction.com and most of the time, the last bidders will have come close or gone over the value of the item itself. I really question the math ability of some. I come at this entire venture from an accountant’s point of view. If I can get an item for no more that 25% of value (bids & final cost combined) then I know I got a bargain. The most I will go is 50%. So anytime I see something I want, I figure what my max will be, enter the fray and watch what happens. If I see it will go for more than I am willing to spend I leave. I know that there is no way for DealDash to monitor or shut down abusive bid jumpers, but I can hope that someday, DealDash will set something up so that when a person joins, they must view all the hints and tips, plus suggestions from this blog, before they can bid on anything. At least they will read what is said on the various methods of bidding before they start. I will keep watching and taking names so I know if a name pops up in something I am bidding on, I may just leave and wait for the item to come up again. Happy bidding everyone, and lets be successful! This entry was posted in Bidding Tips, Home and tagged Auctions, DealDash, dealdash auctions, Free bids, winning auctions on February 27, 2014 by . I have had a lot of experience with DealDash. I have learned a lot about winning and it does have a lot to do with patience as Terry B. explains in his article Patience ❤︎ Patience ❤︎ Patience. Using the BidBuddy and having lots of patience are very important in winning. I also like to put a few bid on lots of different auctions because sometimes auctions will come around where you just get really blessed and the auction will end early and fast! Sometimes by just placing 3 or 4 bids would land me an easy win. Before you ever start bidding, I suggest to look at the winners page and find out the names of the bidders that bid a lot of bids. Plus studying the winners page can give you an idea on what type of items sell at lower prices and what items will likely require you to bid a long time to win. If you want to be sure to not lose money, only bid on items you can afford to do the buy now on if you don’t win. That way you get the item in the end and all your used bids back. Dividing the cost of the item by approximately 15 cents per bid will give you an idea when it’s a good time to stop bidding and do the buy now. How many bids should I use before stopping and using the Buy it Now to get bids back? Let’s take a look at an example of a $50.00 item and dividing the cost of the item by $0.15 per bid. In this example, stopping around 333 bids is a good idea because otherwise you’re likely going to overpay for your gift card. Remember you also have to pay the final sales price of the item so it’s good to calculate that cost as well. 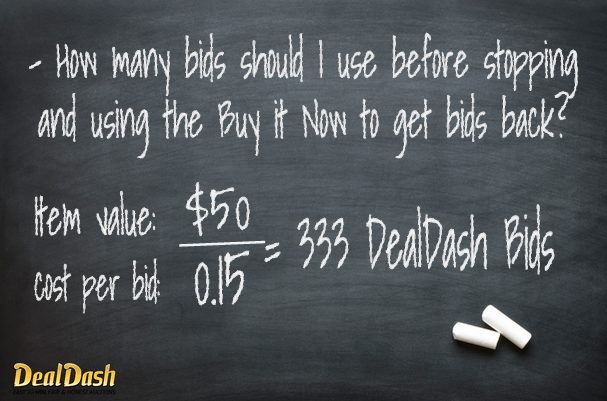 DealDash can be a great place to get great deals, if you are smart about your bidding. Get in at the beginning of the auction and see who all is in the auction with you. Once you know who the big bidders are, you will get an idea of how high the auction price will go. Most important is be considerate not to do what is called stomping on others bid time, or the other bidders can get mad at you and bid more than normal just because they wont want you to win. Remember everyone gets credit while they are high bidder that goes towards earning free bid rewards. So bidding right after another bidder can cause some hard feelings. The only time I bid quickly is when I am wanting to get the price to the $5 cutoff period / No Jumper Limit to prevent other bidders from joining. Hopefully other bidders understand me bidding quickly then. Sometimes I mention it in my profile comments so other bidders know that I plan to quit bid stomping once it gets to $5.00. This entry was posted in Bidding Tips, Home and tagged Auctions, BidBuddy, bidding smart on dealdash, DealDash, How to bid on DealDash, how to win on DealDash, patience, Winning on February 26, 2014 by . If you have an unlimited supply of cash, you may not want to read any further. If, on the other hand, you’re like most people and you don’t enjoy wasting your hard-earned money, you’ll benefit greatly by setting reasonable limits and sticking to them. While the Buy It Now option provides an excellent “safety net”, it should only be used as a last resort. After all, your ultimate goal is probably not to pay full retail. Hopefully, your goal is to save money on the items you bid on. One thing’s for sure, you do not want to pay more than retail, but that’s what can happen if you fail to Know Your Limits. Going into an auction without a game plan is never smart and will often lead to overbidding. My suggestion is that you begin by setting a reasonable limit for what you’re willing to pay for an item. A good place to start in determining this number may be to look at the average selling price for the item. In case you didn’t already know it, if you log out of DealDash and view any of the current auctions, you will see the average sale price for that item. While determining your limit or “target price” you must take into consideration the cost of the bids you’ll need to win the auction. For example, let’s say you’re looking at a $100 gift card, and, based on the average sale price, you decide $65 is a reasonable “target price”. At this point, it’s a good idea to look at things in terms of percentages. This makes it easier to quickly determine your limits for any auction. 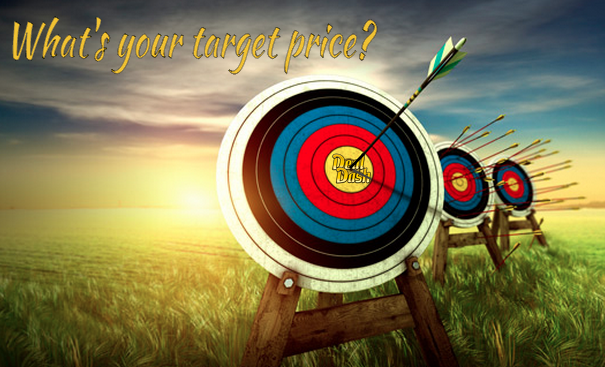 For this example, our $65 “target price” represents 65% of the retail price so we must decide what portion will be used for bids and how much will be sale price. You’ll want to experiment with different numbers and probably want to use different numbers for different auctions. For the sake of this example, let’s start out with 15% going towards bids and 50% going towards the sale price. I like using 15% because it makes it very easy to quickly determine how many bids to limit myself to. Here’s what I mean. 15% of $100 is $15 and, of course, we only buy bids when they go on sale for $.15 so $15 worth of bids turns out to be 100 bids. $100 retail price equals 100 bids, $200 retail price equals 200 bids. You get the picture. Now, some of you may be thinking that 100 bids is just not enough to win a $100 item. If that’s the case, then simply increase the percentage to suit your own bidding style. But, make sure to decrease your sale price percentage accordingly. Once you’ve determined the number of bids you plan to use, you’ll want to split them up rather than using them all in one shot. You might like to try using a portion of your bids early in hopes of capturing one of those “early bird specials” that happen occasionally, then save the majority of your bids to use after the others have reached the point where it makes more sense to Buy It Now. See “Patience, Patience, Patience“. Again, the numbers you feel most comfortably using will vary. 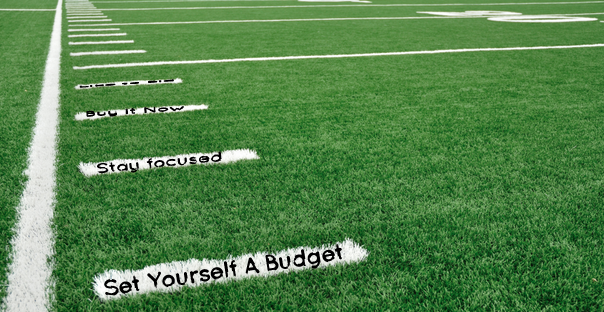 What’s important is that you have a game plan going into every auction, and that you stick to your plan. Placing limits on the number of bids you spend will make you a much more disciplined bidder, which will most likely result in more wins using less bids. This entry was posted in Bidding Tips, Home and tagged Auctions, Bidding, DealDash Tips, retail price, sale price, target price on February 25, 2014 by . 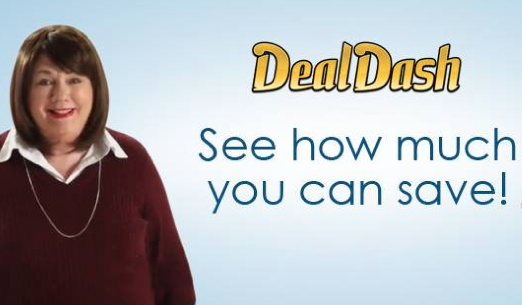 Did you see the DealDash.com TV commercial? If not, you can see it here: http://goo.gl/M4WAV6. I am one of the lucky three customers featured in the commercial — the one who won the 55-inch TV set. Yes, DealDash.com used real customers in its first-ever commercial, not actresses, and I think they are to be commended for doing that. It is another reason why DealDash is known as the “fair and honest” penny auction site. One of the most common questions I get from former high school and college classmates, friends and my 11 siblings still living in six other states is, “Did you really win everything you said you won?” My answer, of course, is, “Yes!” Before flying down from Tacoma, Wash., to do the commercial in a Hollywood, Calif., studio, Dave O’Weger from the DealDash staff asked me to send him a list of some of the favorite auction items I won. When I arrived at the Hollywood studio, duplicates of auction items the other two customers and I won were already on the set, so we could point out some of the products we actually won. Therefore, everything we said in the commercial was true. I won the TV on a “free to the winner” weekend, on my birthday, which happened to be on the same day DealDash celebrated it’s annual anniversary. In fact, a group of my friends came over to my house to throw a surprise birthday party for me. They said, “Let’s play some games.” “Wait a minute,” I said. “First I want to place some bids on DealDash!” Then my friends said, “Okay, time to open your gifts!” “Wait a minute,” I said, “First I want to place more bids on DealDash because they are featuring a ‘free to the winners’ weekend to celebrate their anniversary.” Then my friends said, “Time to light the candles and cut your cake!” “Wait a minute,” I said. “First I want to see how I am doing on DealDash!” Just as I clicked on my mouse, we all saw the word “Congratulations!” flash across my screen. My friends and I got so excited we all jumped up and down like happy 10-year-olds yelling, “We won, we won, we won!” Suddenly I turned to my friends and said, “No, you didn’t win. That’s not your TV. It’s mine!” 🙂 We all laughed and (in a way) my friends really did win, too, because now they often come to my house and we watch movies together. That was my first big win on DealDash, and I really did win 104 auctions in the first four months I was bidding on the site. Not long after that I received a phone call asking me if I was interested in being in the first DealDash TV commercial, and I am glad I agreed to participate because it was a pretty awesome experience. I learned that it is not nearly as easy as it looks to make TV commercials. It is actually hard work. I believe it took a full day to film us three customers, just to come up with a 30 to 60-second commercial. I have not timed it yet, but I think that is about how long it lasts. This entry was posted in Bidding Tips, Home, Video and tagged best penny auction sites, DealDash TV Commercial, dealdash.com, penny auction, TV commercial on February 24, 2014 by .